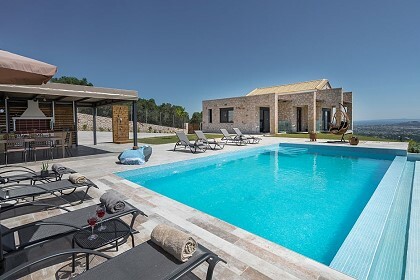 Olive Grove Villa – a wonderful villa in Tragaki resort, with a private swimming pool and a close proximity to one of the most beautiful beaches of Zakynthos Island. You will experience a spacious, perfect accommodation, as well as the crystal turquoise waters of Tsilivi & Tragaki beaches. Landscaped gardens, modern amenities, privacy and calmness, amidst olive trees; this is your next destination, the way to unwind from every-day life! 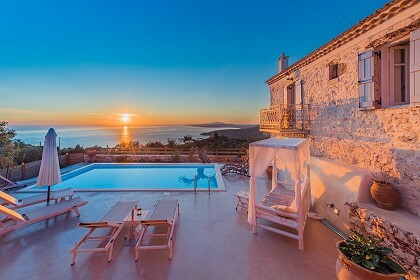 Olive Grove Villa can accommodate up to 6 guests in its spacious rooms. The villa offers three bedrooms (equipped with a queen-sized bed, a bunk bed and two single beds, respectively) and there are also two bathrooms. The living room is spacious and tastefully decorated, while the kitchen is fully equipped and ready to use. All spaces, both indoors and outdoors, are elegantly furnished, so as the guests will experience maximum comfort and privacy. Of course, there is also the magnificent swimming pool! 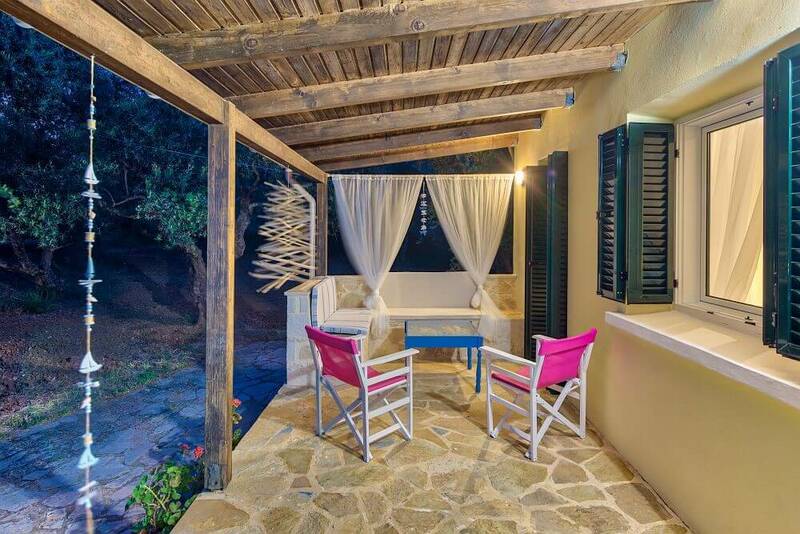 Olive Grove Villa offers air conditioning / heating, free WiFi internet access in all spaces, Flat screen TV, swimming pool, private parking, outdoor BBQ, dining area and shower. Other extra services such as car rental arrangements, bike rental arrangements, VIP transfers, private yacht trips, taxi arrangements, can be arranged upon request and with an extra charge. 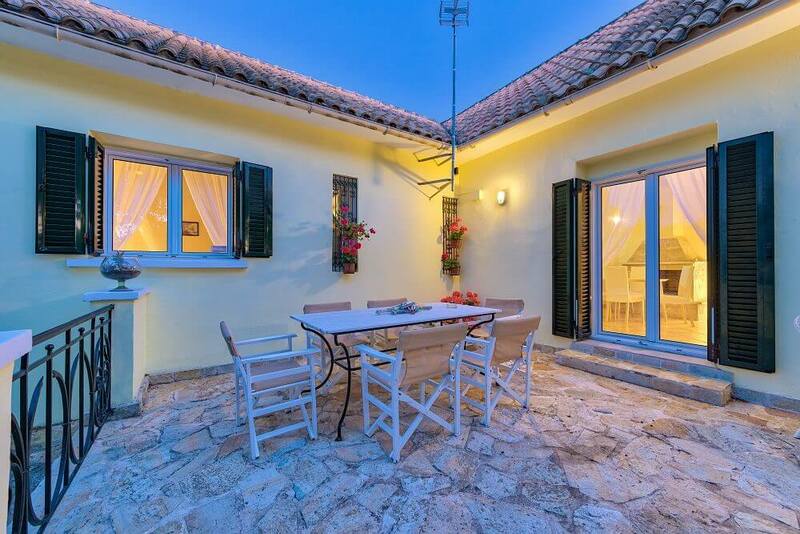 Olive Grove Villa is located near the popular tourist resorts of Tragaki and Tsilivi. 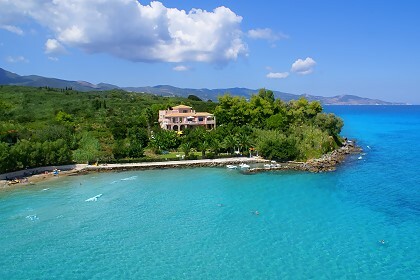 Tragaki, located on the east coast of the island, is perfect for families, couples and groups of friends in search of a beautiful location with a beach with crystal clear turquoise waters. Tsilivi is a very popular resort, featuring long sandy beaches and excellent restaurants, traditional taverns and lovely bars. 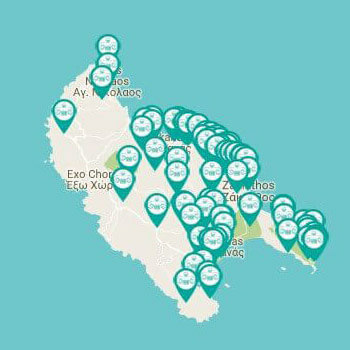 In the center of Tsilivi one can also find money exchange agencies, a post office, public telephones, travel agencies, super markets, car rental companies and many shops. SPECIAL OFFER FOR MAY & JUNE! Book your stay now for May or June and get up to 30 euros discount per night!